2009 Cibola County, New Mexico, Spay and Neuter Project. Owner neglect and inability to pay for veterinarian services means many starving and neglected animals in this rural area. This $30110 micro- grant was a “challenge grant” that ultimately helped raise over $1100 from local contributers. In 2009 Amaterra has given it’s third micro-grant, valued at $300 to a New Mexico sanctuary dedicated to the rescue and care of abused and abandoned captive-bred wolves and wolfdogs. Many rescue facilities do not take abandoned wolves or wolfdogs because of their special needs. Often the only hope for animals like these is to come to a sanctuary like this. One hundred percent of the Amaterra micro grant of $300 awarded in February 2006 was used to install a water line that goes up the hill above the community of San José de Masiaca and then distributes water down to all the homes in the village. The waterline was installed during the summer of 2006 and is functioning properly. 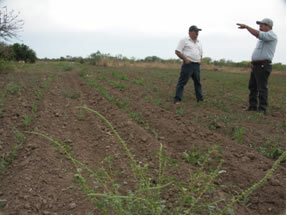 The Mayo Project, begun in 2004, addresses ongoing issues resulting from drought, dwindling food resources, and lack of economic opportunities by developing ways to build local capacity and address environmental, economic and cultural concerns for the Mayo living in Communidad Masiaca in Sonora and Sinaloa, Mexico. Project efforts are directed by a nine-member steering committee of community members who make decisions and inform local residents. 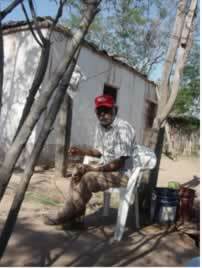 In 2007 Amaterra has funded $500 to do the next step in the project in San José de Masiaca: improving the community gardens by obtaining hoses and installing drip irrigation and fencing. Improving the watering system for their garden will increase the garden’s yield and enable community members to spend less time hand watering their plants. Developing the community gardens has been identified as a priority by the steering committee. When completed, this will move the village forward in their goal to build local capacity.Learn more. 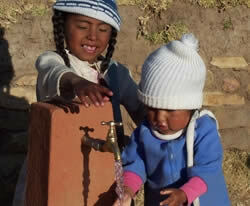 In 2006 Amaterra gave its first micro-grant to Water For People. In 2007 a second grant was given and a third in the year 2008.Throughout the world, Water for People uses water as a catalyst for change in communities that lack access to drinking water, adequate sanitation, and hygiene education. 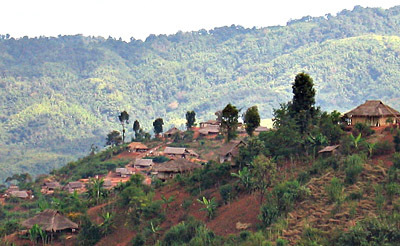 There are approximately 1 million refugees from Burma hiding in neighboring countries. Most are not in camps.The objectives of Burma Lifeline are to; Help refugees from Burma survive, provide basic medical care to the refugees, and to help refugees give their children a basic education. Amaterra provided a $300 micro-grant for the year 2008. Learn more. Centro de Investigación Científica de Cuatro Ciénegas (CICCC), the Scientific Research Center in Coahuila, Mexico, provides scientists, educators, students, naturalists and volunteers from around the world, and especially the local community, the opportunity to participate in research, workshops, and classes in one of the most biologically rich and unique desert aquatic ecosystems in the world. Amaterra provided a $300 micro-grant for the year 2008. In the years 2001 to 2006, Amaterra gave four micro-grants of $300 each to support the work of Cambodia World Family. This group is working with women in small villages in Cambodia. In Siem Reap, near the famous Temples of Angkor Wat, Cambodia World Family has developed an agricultural training facility utilizing a variety of organic and permaculture farming techniques. Training of local people as well as the training of trainers is a hands-on education. A variety of vegetables, fruit trees, sugar cane, chickens, as well as fish and frogs (aquaculture) are raised here as part of the facility’s on-going efforts. As an integrated part of Cambodia World Family’s Adult Khmer Literacy Program, agricultural training staff take part in specific literacy classes dedicated to such topics as compost fertilizers, organic pest control, and home gardening. 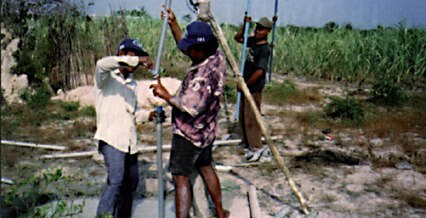 Cambodia World Family’s agricultural staff also trains villagers in the construction and maintenance of wells and the use of treadle pumps for irrigation. Cambodia World Family has started a Health Education and Literacy Project in Kep. This is basically their literacy program carried forward with health workshops in diarrhea and upper respiratory infection/bird flu prevention techniques and behavior change methodology. Their second new project is in Prey Veng Province, one of the poorest and least educated in the country. Here they have begun a literacy project for 480 women and girls. Their dental project went well this last year. Just last year alone, they provided 1390 children with 7,000+ dental treatments. The new sustainability project that they began last year earned the dental clinic over $5,000 in 10 months. With this money, they were able to defray salaries, equipment repairs and purchase dental supplies for the KIND Project and dental clinic. In Kompot Province, Cambodia World Family’s sub-office is also designed to be a model of near self sufficiency with vegetable gardens, fruit trees and chicken raising. For more detailed information on their very worthy projects contact Cambodia World Family. 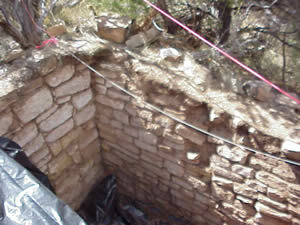 Amaterra has, during the summer 2005 field season, provided logistical support in the form of field shelter for equipment and researchers at Goodman Point Pueblo near Cortez, Colorado. Goodman Point is a unit of Hovenweep National Monument, which is managed by the National Park Service. The remains of an ancient community center are remarkably well preserved within the Goodman Point Unit, and the primary focus of Crow Canyon Archaeological Center’s new project will be to reconstruct the cultural landscape and occupational history of this long-lived center. This link will take you to Crow Canyon Archaeological Center’s web sitewhere you can take an extensive tour of their work and learn how you may participate.